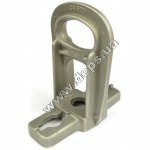 Crosver PA 2000 consists of a plastic housing with extended captive clamping wedges and of stainless steel loop (clamp). 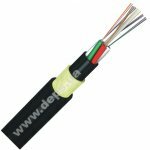 High-strength plastic , stable to UV rays, provides a secure fastening in any climatic conditions. Ribbing provides resistance to high mechanical stress, which is important at longer spans. 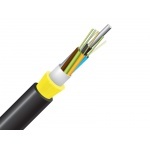 Elongated wedges have a plurality of locking projections and provide a larger contact area with the cable sheath. Loop (clamp) is removable for easy connection with ring fastenings. There is a koush (cringle) on a loop to protect the stainless steel cable from chafing at the point of attachment.